If a septic system drain field is installed to close to a pond, the sewage can leach into the pond. This is the reason ordinances where made to prevent uniformed home owners from polluting there own water bodies. Excessive weed or algae growth in the water near your shore. Other nutrient sources such as sediment and lawn fertilizer runoff, or the re-suspension of shallow sediments could also lead to this type of problem. Septic systems, however, are often prime suspects as sources of nutrients. Unpleasant odors, soggy soil or sewage flow over the land surface. These symptoms often indicate failure and the need for drastic action such as replacement of the system. 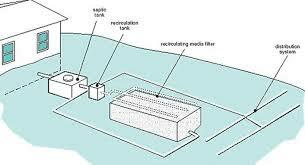 Under these conditions, wastewater could travel directly into nearby surface waters instead of being treated in the soil. Septic fields have specific guidelines regarding setbacks. You can obtain your local set back guidelines from your Township in which your permit is issued, or in some cases it can come from the county. Leach fields normally must be 100 feet from streams, rivers, water supply wells, oceans, lakes or reservoirs, a pond may be considered one of these. However more strict clearances and distances than this may be required in your area. Local soil and rock conditions can make these "rules of thumb" unreliable. Your water table may also play a factor in these distances. People will normally put the house where they want it and the septic then gets placed second. . The septic should be sighted first (obviously taking into account where someone MAY want the house) and then work the house around the septic and pond. A home owner can always install a pump system to then pump the sewage to a location away from the pond if the natural drainage is towards pond. According to the Michigan State University Extension Service and local health departments, when a septic system is correctly located, adequately designed, carefully installed and properly managed, you will have a waste disposal system that is simple, economical, effective, safe and environmentally sensitive. A septic system usually is made up of a septic tank and a drain field. The septic tank is usually made of reinforced concrete, is buried and watertight. This tank receives untreated household waste. The drain field consists of a series of perforated pipes (pipes with holes in them), which distribute the liquid from the septic tank to the surrounding soil. Although even the best designed and installed system will eventually fail, proper maintenance will ensure a longer lasting waste disposal system. If you have any questions about your septic set back give us a call at 989-239-0525. We can look up your ordinance and get you the needed information. There are two ways to obtain fish for your warmwater pond-- purchase them from a registered aquaculture facility (live fish dealer), or catch them and plant them yourself. Obtaining them from a registered aquaculture facility is easiest, most economical ans safest in the long run because you can get them at just about any time ans in the number needed. A list of registered Michigan fish farms can be obtained from the Michigan Department of Agriculture, Animal Industry Division or Michigan DNR Fish Division Office. If you choose to catch your own fish to stock your pond, be sure they are free of unwanted parasites and in good condition. The stress from catching the fish, holding them in a cooler or on a stringer, and transporting them to your pond could make the fish unsuitable for stocking. You might obtain them from someone else's pond or from public waters. In the latter case, you must adhere to all state fishing laws.This means you must have a fishing license and abide by the regulations governing season, bag limits and size limits. For these and other regulations, especially those governing the use of seines and nets, consult the " Michigan Fishing Guide," the DNR's annual statement of regulations, available where licenses are sold. Is a Liner right for you? 1. Existing water – Many ponds retain some water; however, we do not recommend lining a pond that contains more than 25% of its fill capacity for any extended period of time. 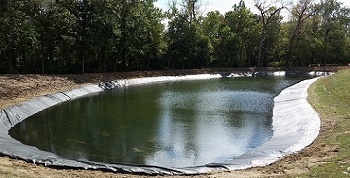 If your pond is more than 25% full and you want to use a liner, you would need to drain the pond before laying the liner or put at least 2' of soil atop the liner. 2. Pond size – Measuring your pond is best accomplished using a flexible tape measure (available at local hardware stores). Stretch the tape measure from waterline to waterline allowing the tape to contour the pond's bottom. In general, we recommend adding an additional 15' to 20' to this number to make up for the liner settling and the anchoring trench. When doing the installation, the anchor trench will hold the additional liner and keep it secure; it is located 5' from the pond's edge. 3. Slope – Steep slopes can put too much stress on a liner and cause premature wear. Both PVC and RPE liners are designed to be used in ponds no steeper than a 3:1. For example, in a pond that has a 3:1 slope, if you drew an imaginary 3' horizontal line from the pond's edge, the pond would be 1' deep at the end of your line. If your goal is to attract and catch big fish like big crappie, big bass, and even big catfish, then this is what you’re looking for! The Big Fish Magnet is unique in that it has 24 flexible snag free branches made from recycled material. The Big Fish Magnet provides great cover for medium and large fish. Algae growth occurs rapidly due to the bark like texture of the limbs. Can hang from a dock or pier vertically. Can also place it on the bottom of a lake or pond horizontally. Manufactured in the U.S. and made from recycled plastic for a true “green” feel. Promotes algae and phytoplankton growth. Great in all depths – from 6′ up to 20 or 30 feet. Comes packaged in a UPS or Fedex shippable box to your doorstep. Great when you combine 3 or 4 of these together and create a long-lasting brush pile of protective habitat! Easy to assemble – comes with mounting cables so you can attach to your dock, pier or concrete blocks. IMHO the long reach is more for sloping than mass excavation. If you compare a dragline and a hydraulic long reach of the same size/weight the dragline has a bigger bucket. The disadvantage of a dragline is you need a very skilled operator to run and maintain one. Not as many skilled dragline operators around as there used to be. If you don't want to use a dragline, maybe instead of a long reach trackhoe, a large standard trackhoe like a 365 or 385 could be productive. I don't know how much experience you have with draglines, perhaps you could rent one with operator from a contractor in your area. The cost will ultimately depend on many factors. Now these are just estimates based on past projects. There are many variables that go into the cost of your pond. You should contact us for a written quote. First you have to ask what you want out of your pond. 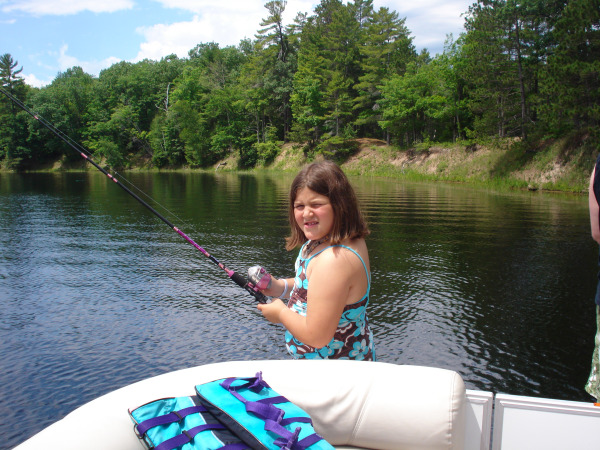 Fishing is one of the most popular recreational activities in michigan. If you have plans of stocking your pond with fish and the fish surviving a Michigan winter your pond should be at least 12' to 15' deep. The deeper the better. To get this depth your pond will need to me a minimal of 1/4 acre, or approx 100' x 100'. We have the resources to dig your pond up to 40' deep if desired. There are a lot more variables such as the water source for your pond and the soil type of your pond. If your property can fit a larger pond and it is in your budget the bigger the better for fish. The bigger you dig the pond the deeper you can go, you can also have a larger deep area. When building a pond for swimming use , you can dig a pond almost any size. The main feature of the pond would be to keep it deep enough for equaitic weeds to not over populate the pond. Invasive weeds generally will not grow in water deeper then 4' in most Michigan ponds. However, some aquatic plants growing in and around a pond provide many benefits. They help maintain good water quality by reducing erosion and absorbing nutrients. Plants provide cover for fish and a substrate for the colonization of minute organisms used by small fishes. Wildlife will use the shoreline vegetation for concealment and as areas to search for food You also want the pond to have enough depth for the water to stay clean. I recomend a swimming pond to be no smaller then 40' x 40' and a minimal depth of 8'. A properly excavated wild life pond requires little maintenance and again can be any size. If you want to attract cranes, turtles, ducks, deer, frogs, mink, and any other of Michigan's beautiful creatures you only need water. You can dig a pond any where from 15' x 15' or a acre 207' x 207' and they will come. Depth could also range from as shallow as 6'' to 15' deep to keep the fish around. A pond built for irrigations size can be determined by many factors. The main component is the amount of water you will need for irrigation, which I will go into details about calculating in another blog. Some folks in Michigan dream of a huge 1 acre pond, but soon come to reality that it just will not fit into there yard. You have factors such as property line set backs, water resources, lot size, set back from well, set back from septic. You also have either find a spot for your dirt from the pond or haul it all off site which can be really expensive. If you are digging a 100'x100' pond, you will need a place close to pond that is a minimal 50'x100' to store spoils. The biggest deciding factor in pond size is how much money do you have to dig this pond. Our average pond cost is $7,500. 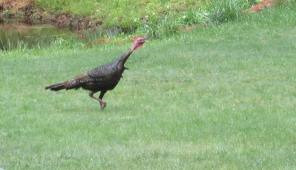 Most pond customers I have worked for all want a huge 1 acre + pond. A 1 acre pond is perfect for swimming, fish, wildlife, and most any thing else you may want out of your pond. A pond that size is just mostly out of the average persons budget. In conclusion, the best way to determine what size your pond should be is to give us a call and we will come out and look at site and determine which size fits your needs best. Prospective pond owners should check with local, federal,and state agencies for regulations on pond site selection. These agencies may have a say in where you can construct a pond, yes even on your own privately owned property. The ratio of permits needed here in Michigan when we dig ponds is only 1 out of 5 ponds dug is in need of permits. 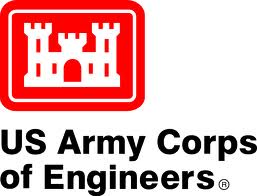 A joint state and federal permit process has been established between the DEQ and the U.S. Army Corps of Engineers (USACE) for proposed projects in areas which have both state and federal jurisdiction. 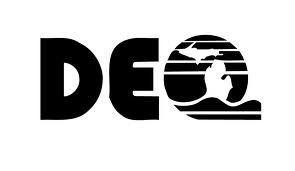 The Water Resources Division will determine whether a permit application requires joint state and federal review, and when appropriate, will forward these permit applications to the USACE Detroit office for federal permitting review. Deposit or permit the placing of fill material in a wetland. Dredge, remove, or permit the removal of soil or minerals from a wetland. Construct, operate, or maintain any use or development in a wetland. Drain surface water from a wetland. Connected to one of the Great Lakes or Lake St. Clair. Located within 1,000 feet of one of the Great Lakes or Lake St. Clair. Connected to an inland lake, pond, river, or stream. Located within 500 feet of an inland lake, pond, river or stream. Not connected to one of the Great Lakes or Lake St. Clair, or an inland lake, pond, stream, or river, but are more than 5 acres in size. Not connected to one of the Great Lakes or Lake St. Clair, or an inland lake, pond, stream, or river, and less than 5 acres in size, but the DEQ has determined that these wetlands are essential to the preservation of the state's natural resources and has notified the property owner. There are a number of reasons a permit is needed from the state of Michigan for pond construction. If there is ever a question weather a permit is needed I can come out and do a site inspection. We can also Save time and Money and Request a Pre-Application Meeting with state Permitting Staff. A permit is required for activities that occur within or over an inland lake or stream or below the Ordinary High Water Mark (OHWM) of an inland lake or stream. An inland lake or stream is a natural or artificial lake, pond or impoundments 5 acres or greater, or a river, stream or creek (including county drains) that have a definite bank, bed, and visible evidence of continued flow or occurrence of water. A permit is required for activities within wetlands. A wetland is a land characterized by the presence of water at a frequency and duration sufficient to support-and that under normal circumstances does support-wetland vegetation or aquatic life, and is commonly referred to as a bog, swamp, or marsh. Typically a regulated wetland in Michigan is one contiguous to the Great Lakes or inland lake or stream; or an area of 5 acres or more in size. See Chapter 3 for additional information about Part 303, Wetland Protection. A permit is required for activities within the 100-year floodplain and floodway of a river, stream, drain, or inland lake. The regulation also applies to a watershed that has a drainage area of 2 square miles or greater, when measured at the downstream limits of a proposed project. See Chapter 3 for additional information about Part 31, Flood Hazard Management, and National Flood Insurance Program. - A permit is required for any activities within a designated environmental area. An environmental area is an area of the shoreland determined to be necessary, by the MDEQ, for the preservation and maintenance of fish and wildlife. A list of counties that have environmental areas is located in Appendix D or to determine if the project is located within an environmental area, contact the LWMD. See Chapter 3 for additional information on Environmental Areas. In short if you have an area on your property where water is present during the year in sufficient amounts to support wetland vegetation, such as cat tails and water lilies, or aquatic life such as fish, frogs and turtles, then a permit may be needed. There are certain ways to get around permits in some cases and different types of permits also, such as the the minor project catagory that is only $50 and does not have a public notice. plans for spoils with approved site plan, some local regulations require that no spoils be hauled off site. Most counties in Michigan will require a soil erosion permit. this permit may require the use of silt fence, straw, seed, and other erosion control. This permit process can be very discouraging and frustrating, give are staff here at Schlicht ponds a call and let us take care of all the paper work. All these permits can be obtained by the staff at pond perfection, for a reasonable fee. Can you dig a pond in the winter ?? The simple answer is YES. Digging ponds in the Michigan winter has its pro's and con's. -Some spots of the property that may normally be soft may be frozen in the winter months, which may make them more accessible in the winter. -Don't have to worry so much about the rain, snow does not impair digging conditions like rain. -The water table should still be at its low point during winter. - Winter is also a slower time of year for us pond diggers, there is normally not a huge rush to get to the next pond. -If you have your pond dug in the winter, it is then ready in the spring for grass seed and is a great time to implement soil erosion techniques. -By the late hot summer days, your grass should need its first cut and you can start to enjoy your pond. -Some times in a real harsh winter the frost in the ground can penetrate as deep as 3 feet.this would make a winter dig very difficult. -If moving dirt on site, the dump bodies of our trucks can start to get filled with frozen spoils that will not dump out. We may spray the boxes with calcium chloride in order to prevent this. -If there is a need for pumping of water in the pond during winter months our pumps can freeze if left unnatended for long periods. We would have to roll up all hoses and place pumps in a warm area over night. -The cold winter weather is very hard on our equipment in the morning when we try to start them. Some areas in Michigan freeze sooner than others. If you are wanting to put a pond in a corn field for instance the frost in this area will be deeper and present sooner than a wooded area. A low liying swampy area that is covered by trees and vegitiation will freeze last if ever in the winter. The trees and vegitation like grass and weeds block the misirable winter winds. If we get a large snow prior to it frost getting into the ground, the snow may act as a insulation and prevent the ground from ever freezing. Even if the ground freezes our equipmet has no problem digging through most frost levels. I have personally dug and cleaned out over 40 ponds in the winter months when it was below freezing and snowing. Some times do to scheduling there is no other choice. In a perfect world I would be on a beach in the some south of the border country sipping a Johnny Vegas ( 1part Jose Cuervo Gold, 1 part raspberry pucker, 1 part red bull), waiting for the warm weather to come back to Michigan so I can start digging again. One important lesson I have learned about cleaning out a pond in the winter. If the water in an existing pond is frozen, separate the ice from the dirt if possible. In the spring when the weather warms up the ice will melt in to the spoil pile and take a very long time to dry up. I dredged an old pond in January one year and on a June day when the tempeture was around the mid 70's I was still finding chunks of ice under the spoil pile. Ponds can be dug in the winter and as always every pond is different just like every winter is diffrent. I will always dig ponds rain or shine snow or sleet, it is what we do. 50 year drought and my pond ???
" Hi I was calling because I think my pond has a hole in it, I have never seen the water level this low"
I have had more calls about pond water levels being low in the month of June, than I can count on my feet and hands. Most calls are from home owners who have just recently purchased the home in the past 4 years and are not familiar with a hot dry summer. because this is the worst in many years people are surprised and worried about there pond. The pond water level is only lowering because the ground water level has lowered. The water level in the pond can be even lower then the water table, due to added evaporation. Unless your pond is fed by a major spring, creek, river, or is filled with a well it will always fluctuate. This makes the average pond look horrible, scum and much you can't normally see is now visible by you and any one else that views your pond. Unless you can afford to install a well ($2,000-$5,000) plus the cost of electricity to run the well all summer, you are forced to let mother nature take its course. 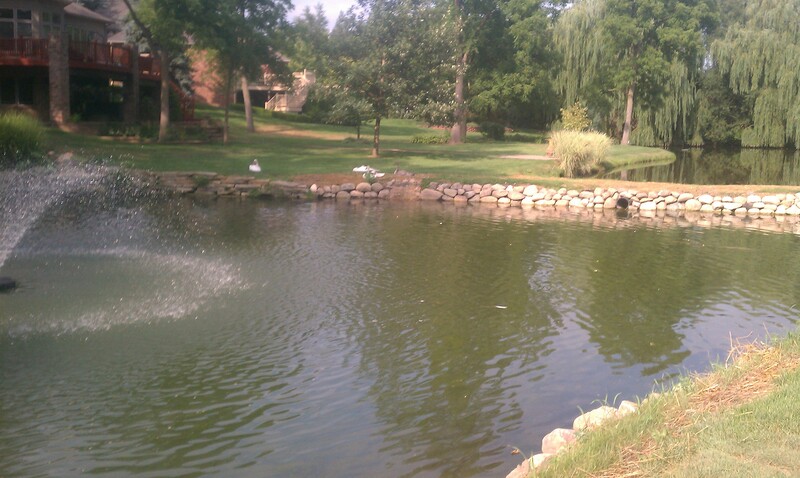 Some times I will put some nice gravel or smaller boulders on the shore of the pond to make it look pleasing. Fish fall dormant in these hot days of summer. oxygen levels in water at 90 degrees can only reach around 7.0 parts per million, or about 50,000 times less then the air you or I breath. If the oxygen level gets so low the fish and plants are fighting over the oxygen, the plants will when and the fish die. The best way to prevent this is with a aeration system. It is very important to have a sufficient aeration system in your pond, to prevent this fish kill off. It is a costly investment, but one that is needed to have healthy fish.